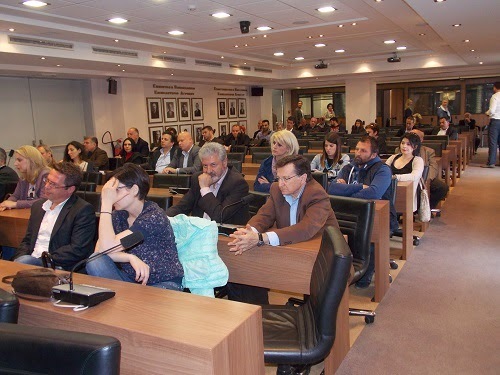 Golden Dawn - International Newsroom: What changed before the EU elections? What changed before the EU elections? The Greek government would announce that they have achieved the Memorandum's goals. The Troika would come to inspect them. From the first days the Troika would find significant deviations. After the inspections they would realize that several billion euros would be missing, at which point the EU would force new austerity measures (enforced by new Memorandums) on us to give us our "fix". The Greek government would then pass these new laws in the Parliament using the emergency procedure. They would then immediately apply those laws, by lowering wages and pensions, levying new taxes, reducing funds in the Health, Education and Defense departments. This was more or less how we welcomed 2014. The Greek government announced that not only they achieved their goals, but that the primary surplus was double the necessary amount. The Troika left Greece in early April without making any statements. But this time no new measures were forced on us and the EU gave Greece part of the next bailout package, indirectly verifying the existence of the primary surplus. So, they allowed Greece to take a loan from the markets after four years. An event that was advertised ad nauseam by the government despite the high interest rate (4.95% p.a. ), the fact that the debt is handled by English law and the big guarantees that always cost. Something had changed. This change was confirmed by the visits of the German Minister of Finance (Wolfgang Schaeuble) and Merkel in Athens, where they applauded Greece's progress and the achievements of the government. Then two days ago the EU announced that Greece had achieved a primary surplus double than what the government had announced. Until yesterday we were witnessing the Greek government making mistakes in their calculations and the Troika exposing those mistakes, but now we see the Troika making mistakes and the EU correcting them. Because the Troika's disagreement with the government regarding the next bailout package can only be attributed to a mistake. So what changed? Did the financial situation of Greece change that much? Were the Troika's mistakes so serious? Why are the markets eager to give us loans now that the debt exceeds 175% of the GDP but wouldn't do the same thing when the debt was 120% of the GDP? What happened to Schaeuble's and Merkel's statements when they confirmed some progress but recommended a more strict application of the memorandum laws. Why did the famed German economist Meier, a member of Merkel's party, said that the German government should tell the German taxpayers that they wasted the money invested in Greece? Maybe Merkel is aware of the secret polls and knows that the Greek government is going down. It's is the most probable thing that happened, because this change of policies was immediate and sudden. This change of policies must be a pre-election trick, to support a failing government that serve their will. The Greek People must cling on a hope, forget all that happened all those years of suffering and vote for "New Democracy" in the EU and municipal elections in the 18th and 25th of May. This would explain the recent auspicious 500-euro "gifts" and tax returns to the poor and the armed forces. If a party constantly gains ground against you, you can deal with it in many ways. You jail it's members, you then send the anarchist dogs to do the dirty job, and eventually you ban it by the decision of the country's high court. Then you bribe your voters with petty give outs, but only before the elections. 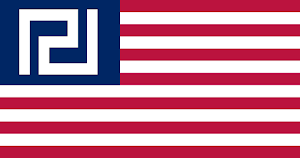 To understand why it is necessary for the Memorandums to be applied in Greece we have to see how the austerity measures serve the goals of the Zionist EU. Goal #1: Stealing the Greek mineral wealth. Measure: Loaning based on English law. Future governments will face the following dilemma: Selling the mineral wealth at ridiculous prices or giving it away for free to service the debt. The falling prices on real estate and the destruction of the Greek tourist section means that hotels and land will be sold cheap, and new hotel units can be cheaply built. This way multinational corporations can buy land and build on them for low prices, buying their way into our most profitable industry. The tourist industry relief heavily on staff to function. The wages must be low ("competitive") because they are the bulk of the industry's expenses. Low wages secure profits for the corporations but lead to the impoverishment of the People. 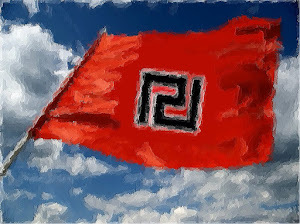 The EU wants the Greeks to forget all their past and future troubles, to get their hopes high and vote for the same government, so as to keep working undisturbed and writing new Memorandums until they achieve their goals. However the Greek People must never forget one thing: Every people gets the government they deserve. They must remember this before and after the elections. We will see in the 18th and 25th of May which government Greece truly deserves! P.S. To understand the state New Democracy is in, compare the two photos below. 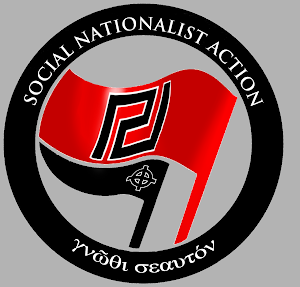 It's from two pre-election gatherings for ND and Golden Dawn in the same city outside Athens. 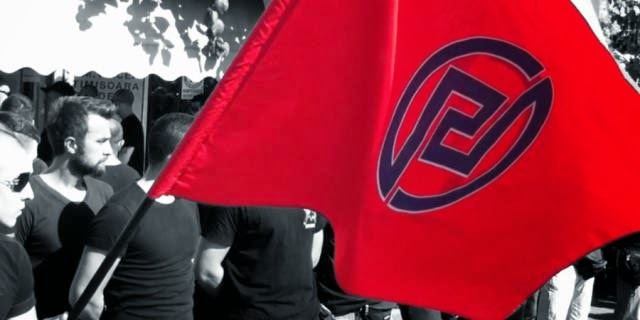 Our upcoming victory at the EU elections will further spread the ideas of Nationalism. 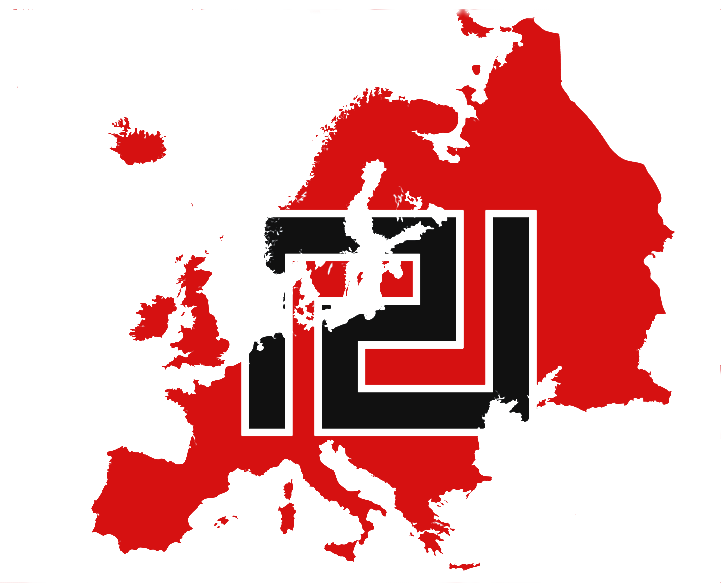 Is there any plan to create a pan-european radical nationalist group with other parties? Police are nothing but the thug enforcement wing of the zionists. Examples across the worlds unrest against the left has shown just how much of cowards the police force are when citizens rise up against them . Actions are going to exceed what they can handle soon enough and the police who do their dirty work will only try to hold on for their leaders to flee with the countries wealth in some hidden bank. The death of a government.